Effective leaders create, sustain and grow healthy organizations. They not only make a positive impact on the culture of their organizations, but also add value through their words and actions. However, most executives and team leaders get busy with fighting fires, managing pressures and staying afloat. As a leader, more is expected of you. You are also expecting more from yourself. 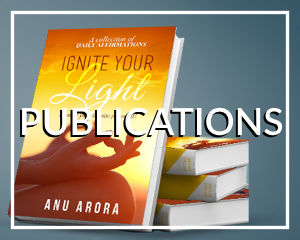 Anu Arora is the founder of Infinite Potential Leadership. 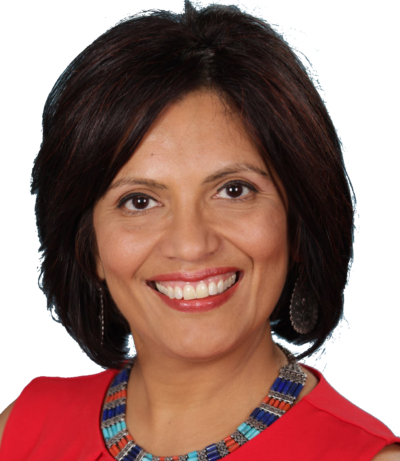 She is an experienced technology leader, trainer, author, leadership and an executive coach, Anu thrives in complex environments that require both technical and interpersonal excellence. Prior to becoming a coach, Anu held software engineering and aeronautical engineering leadership roles in public sector and high-growth companies. After starting her career in building helicopters at Hindustan Aeronautics Limited, she managed the training function of a government department in Australia. She then moved to the United States to engineer software products for Microsoft. Among other noteworthy engagements, she managed the quality division of Microsoft Windows responsible for delivering Windows in over 100 languages. Besides her wealth of experience, Anu incorporates a method, a practice, an ease of comfort, safety, allowing you to be open, to be genuine, that will help you discover your true goals, a direction, or maybe, simply a belief in yourself, and it is that that will help you move yourself forward. 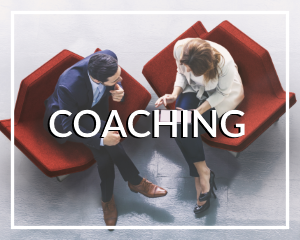 I highly encourage anyone to give yourself the gift of working with a good coach. If you engage Anu, you’ll have one of the best! Anu exudes compassion and is a skilled listener. She brings a sense of mindfulness to her listening - noticing a deep sigh, a subtle movement, shift in posture, or a sharp intake of breath. Anu quickly cuts through the white noise and filters out the important elements. Having witnessed her presenting to a large group of transitioning professionals, I was truly impressed by Anu’s ability to inspire the room, connect with them, and get them to view their career potential and opportunities from a new and refreshing standpoint. She's a true pro and truly walks her talk, which gives her a credibility factor that few coaches, in my experience, bring to the table. Anu is a very good instructor and coach and can hold her participant's attention and interest for hours. She customized the training to meet my organization’s need and brought her knowledge of IT industry trend. I worked with Anu for the past year, as I was struggling to cope up with my personal health and grief of losing my parents. Anu provided exceptional value in her ability to assess my situation and lead me through recovery process. I was able to overcome some challenging situations and found more balance in life. Her techniques are subtle and useful and she is very insightful. I found myself eagerly waiting for the next session, as I personally experienced a lot of comfort, trust and hope during and after the meetings. Thank you very much for providing a valuable workshop on building and maintaining Confidence for the women of WDG at Microsoft. We look forward in learning more from your future workshops. Anu has a talent of bringing you to a place of self realization of your potential. I am thankful to her for being an inspiration, a mentor and a teacher that helped me slightly shift my perceptions to a new understanding of myself and my career aspirations. Anu Arora came and delivered a lunch-time workshop to our R&D team at MilliporeSigma Seattle Campus on ‘Change your brain chemistry for high trust conversations’. She had us in rapt attention with her humor and presentation skills. I spoke to many of the two dozen participants afterwards and they felt that the best part of the training was the group discussions and activities. The participants experienced the applicability of what they were learning right away. We all came away energized and eager to adopt the practices. There was a buzz about the learning and discussions in the hallways and its usefulness during upcoming mid-year review.Those who were unable to attend were disappointed. One shift I see is that the participants are bringing the tools and mindset to their conversations and meetings. 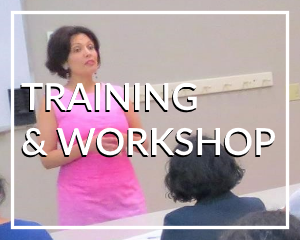 When I asked Anu to create a workshop for my audience, she straightaway understood the challenges and built an experiential and activity based workshop, that spoke to the hearts and minds of the audience. The company I manage is part of the beauty and fashion industry. The top 3 challenges my women face are: self esteem, leadership and team work. The result was so profound that the team requested for follow-up workshops. This is what I admire about Anu. She quickly understands her audience and challenges them from their place of knowing. This encourages them to create a new self, which they may not even have imagined before or didn't even think was possible. Her knowledge on the topic of human potential and what ignites it is vast and deep. She supports her training with the latest research and its application, generating respect and applause from her audience. President and CEO, Ravishing Inc.